The announcement of a referendum to give Irish citizens abroad a vote in future presidential elections was classic Enda Kenny. Pluck an idea from the skies, with zero planning and virtually no consultation; broadcast it and then sit back and enjoy the (short-term) warm after-glow, before the practical implications begin to sink in. Consequences be damned. It's not the first such wheeze from the Taoiseach. His surprise Seanad referendum announcement in 2009 came at a time when questions were openly being asked about him. Kenny needed a big idea to show "decisive leadership". If that ill-thought-through scheme was about his political survival, this latest announcement is about Kenny's legacy. Fine Gael ministers, in public anyway, insist that the Taoiseach is the most selfless and ego-free of leaders. He doesn't care about being the first Fine Gael Taoiseach to be re-elected, or overtaking John A Costello or adding another year in the top job to his CV. It's all about the country first and party second, subjugating his own self-interest. Nonsense. If that's genuinely the case, why is he still in the job, many months after even his own party wants him gone? And why unveil such a sweeping measure - one that has the potential to neuter voters living in this State when it comes to electing a President - in the final weeks of his tenure? As a lame-duck Taoiseach, he has no credible mandate to change the way we elect our President. But it certainly plays well in America (it's no coincidence the announcement came in the US, where he is held in higher regard than at home), London and Belfast. And that appears to be the primary motivation. This is Enda's endowment to the Irish nation. His parting beneficence. But without any detail to accompany the sweeping vision, it all smacks of "never mind the quality, feel the width". There are far, far more questions than answers. How would it work? Who would get votes - everybody across the world eligible for an Irish passport, including second and third-generation Irish? Or just those who grew up in Ireland and who left within a set number of years previously? How would people go about casting their vote - could it be online, as some have suggested? Mr Kenny won't have to answer these questions. His successor will have the awkward business of working out the finer points. The point has been made that this is not new or radical - there are 115 states globally with some form of voting for non-resident citizens. But few, if any, of these countries are comparable to Ireland, which has been exporting sizeable chunks of its population for 200 years. The Irish diaspora is said to be as high as 70 million globally. Imagine the impact it would have if even 1-2pc were enfranchised. In the most recent presidential election in 2011, 1.7 million people cast their vote. In the past 10 years alone, one million passports have been issued by offices outside the State. If the proposed referendum is passed, it's conceivable the overseas constituency could be just as important in future presidential elections. Perhaps more so. The outcome of future presidential elections could be dictated by people with little or no practical knowledge of the issues facing contemporary Ireland or its residents; people who - in some, though clearly not all, cases - have no skin in the game. Sinn Féin must be bowled over by Mr Kenny's kindness. For starters, the party's appeal has always been greater in the US, where distance has helped foster a misty-eyed image of the old sod and its suffering at the hands of perfidious Albion. While that mightn't be the case for more clued-in recent emigrants, Sinn Féin still has the upper hand in the US. And, relative to the other parties in this State, it enjoys a monopoly on support of Irish passport-holders north of the Border. The party got 224,245 first-preference votes in the recent Assembly elections in the North. It's not unreasonable to assume that if the franchise is extended to the North, a Sinn Féin candidate such as Gerry Adams could bank on that block of votes in any presidential election. A virtually guaranteed quarter of a million votes - that's some head start to be giving to one of your main political rivals. And some millstone for Mr Kenny to bequeath to candidates from Fine Gael, which has never won a presidential election. The obvious riposte will be that political parties pay only lip service to the idea of a united Ireland. Mr Kenny's proposal, it will be argued, changes that. But having a vote in a presidential election will do nothing to bring a united Ireland closer. Brexit certainly might. This won't. Many of us from a nationalist persuasion may ultimately still wish to see that happen peacefully at some point in the future. However, there's no getting away from the reality that while nationalists in the North are every bit as Irish as those living south of the Border, they do not live in this State. And the practical difficulties of having an electorate with a high percentage of voters living outside the State cannot be just pushed to one side. The argument will be made that this is "just" the presidency. But, largely ceremonial as the job may be, we're still electing the first citizen of this country. Even ignoring the potential for presidential elections to shape national politics (Mary Robinson in 1990 being the obvious example), do we really hold our State in such low esteem that we're happy to outsource the selection of that first citizen? And what's the motivation for this move? Mr Kenny brought forward the Seanad referendum for all the wrong reasons. And he's now repeating the error. 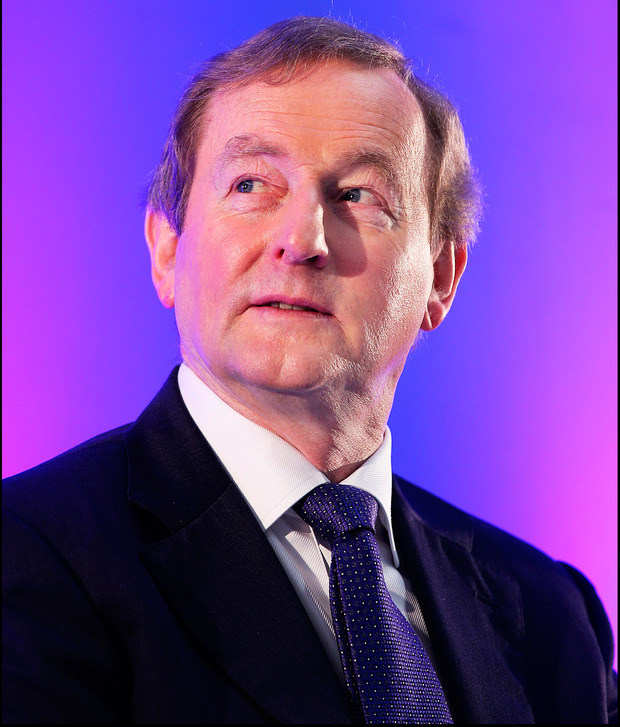 For a supposedly ego-free Taoiseach, he's giving a whole new meaning to Refer-Enda. Shane Coleman presents Newstalk Breakfast weekly from 7am.